Researchers from the Rush University Medical Center in Chicago tracked the activity levels of 716 healthy older adults. For an average of four years, participants wore actigraphs on their wrists that measured their daily activity levels. The average participant performed 3.3 hours of physical activity a week. By the end of the study, 71 adults had developed Alzheimer's disease. Although any increase in physical activity lowered participants' risk of Alzheimer's, the intensity of physical activity also significantly impacted their risk. Participants who tended to perform the least intense physical activity were nearly three times more likely to develop the disease. 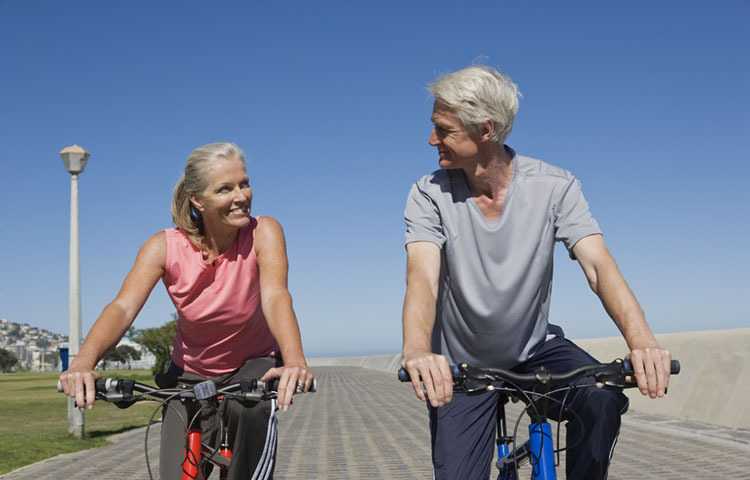 This study reinforces the critical role exercise plays in preventing diseases as we age. Exercise has also been shown to reduce the pain of a number of other conditions associated with aging. Buchman AS, Boyle PA, Yu L, Shah RC, Wilson RS, and Bennett DA. Total daily physical activity and the risk of AD and cognitive decline in older adults. Neurology 2012; 78:1323–1329. Lloyd, Janice. Any kind of physical activity lowers Alzheimer's risk. USA Today. April 18, 2011. Tobacman, Jessica. Busy bodies, healthy minds: remaining active lower risk of Alzheimer's, study shows. Chicago Tribune. April 25, 2012.